This weekend I tried my hand at garment sewing. 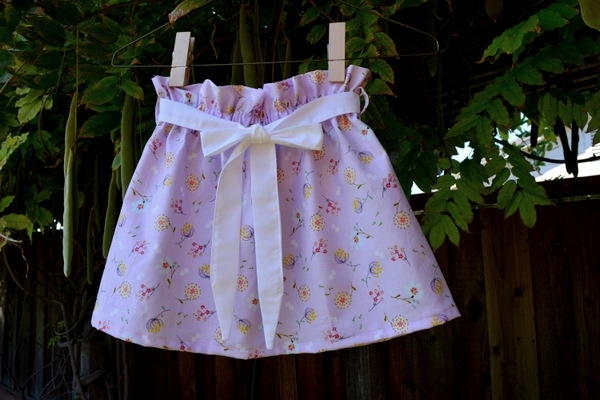 I made this cute little skirt for my 3 year old goddaughter. I was inspired by the skirts shown in the book 1,2,3 Sew. And I used the measurements given on the book for a size 4. It was such a fun project and I think I would like one for myself. I love the idea of making my own clothes and one day I would like to have a wardrobe of mostly handmade pieces. Handmade clothes are the best I think. When I was growing up my mom made most of my clothes; she was super talented and even created her own patterns. So I always I had very unique pieces (and every time I wore them I felt super special). 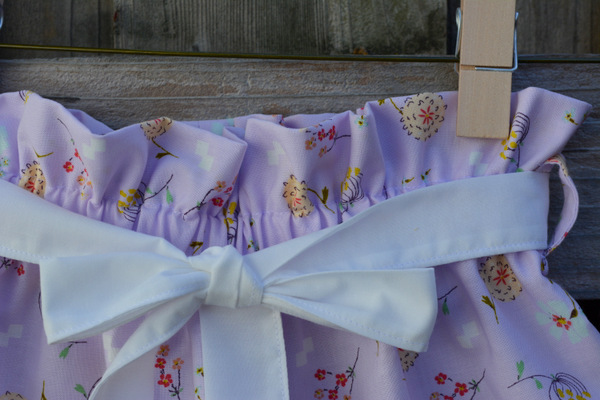 I'm currently working on a tutorial for this skirt and I hope to share it with you soon.